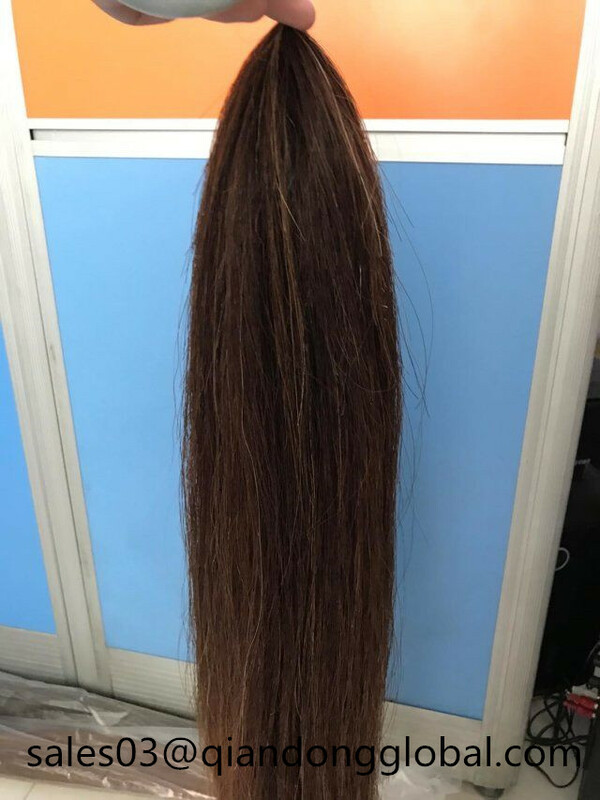 We can provide handmade real Horse Hair quality Tails, you will love it! We can provide various sizes Horse Tail Extensions to suit your need, and weight from 170g. You can also tell me your detailed requirements,we will customize for you. 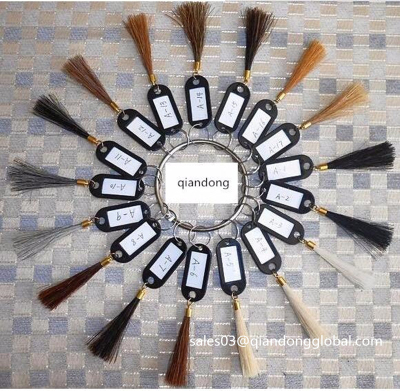 Our False Horse Tail is made by guine Horse Tail Hair. 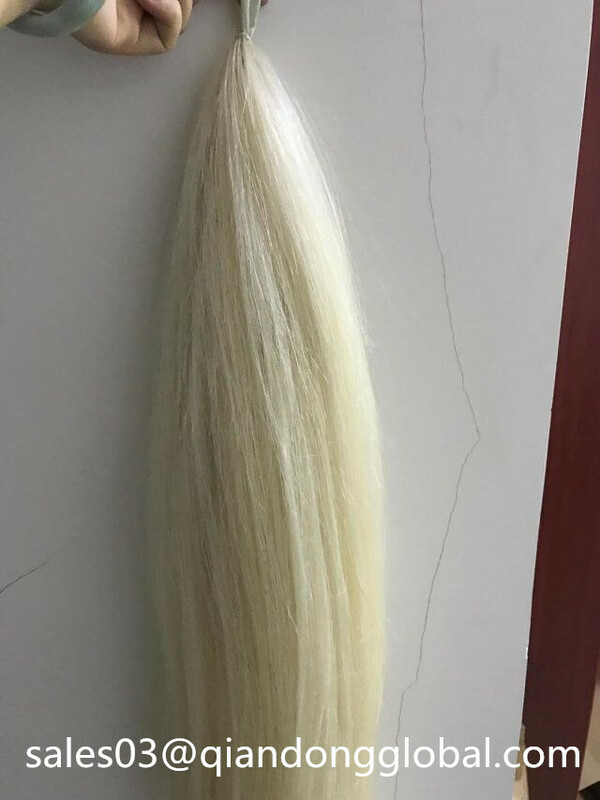 Our worker are are skilled,they have rich experience to extract horse tail hair,to comb horse tail hair,to make Horse Tail Extension. Love your horse? 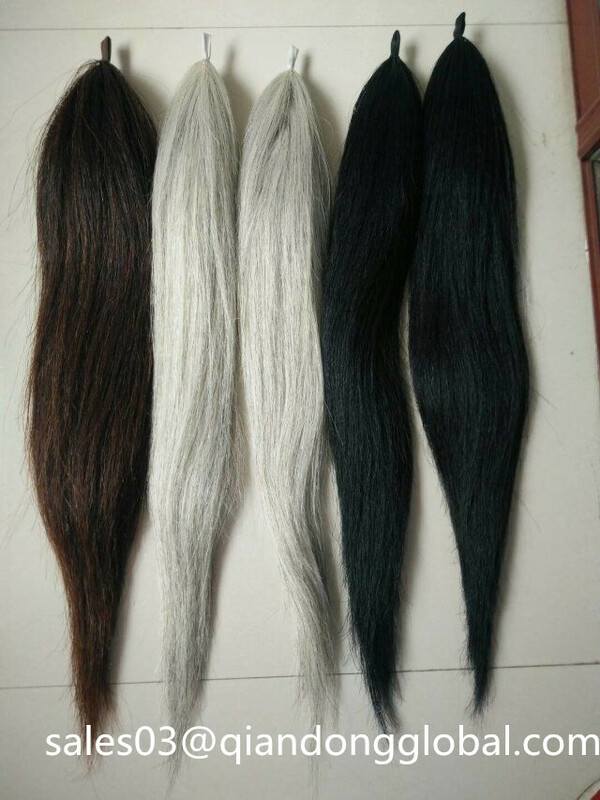 Choose a good quality False Horse Tail for her/him. Donot worry about shipping,we will use express company to send Horse Tail Extension door to door,it is very convenient. In order to protect Horse Tail Extension,we will use bubble wrap to package horse tail extension,then will use carton. 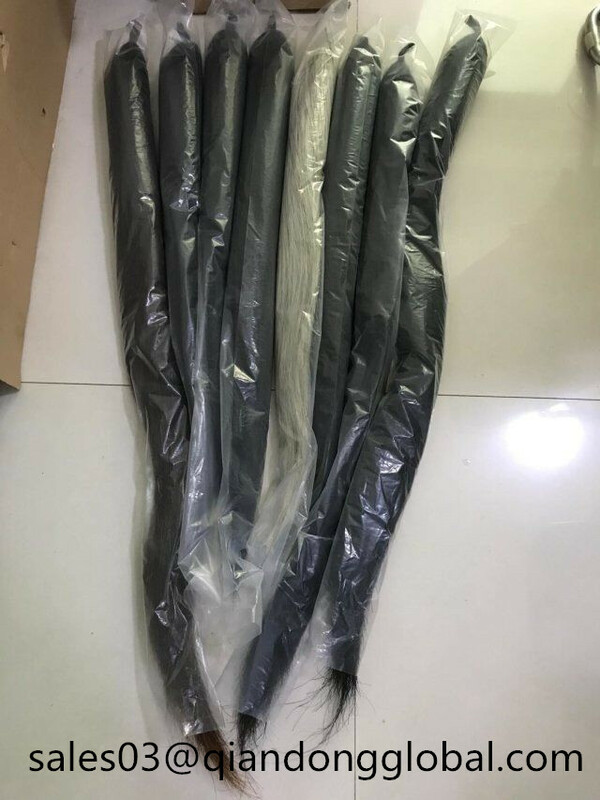 We will use TNT/Fedex/DHL express company to send horse tail extension door to door,it is very convenient and time is about 5-7 days after sending. Or we will do as your requirements. 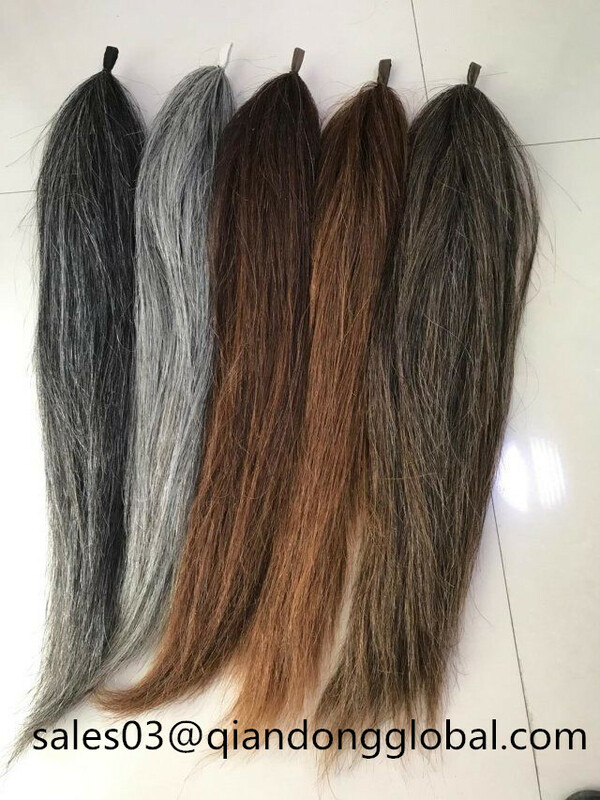 1, Our horse tail extensions are made up of high quality horse tail hairs,because we engaged in animal hair field more than 20 years,we devoted ourselves to high quality animal hairs and furthur products. 2, We have many colors for your choose,you can choose color you liked from color chart. And weight from 170g to 510g per pieces. Or pls tell us your detailed requirements, we will cusotmize for you. 3,Our horse tail extensionsare not the "glue stick and electrical tape" tails. we use 6 step process to manufacture our horse tail extension. 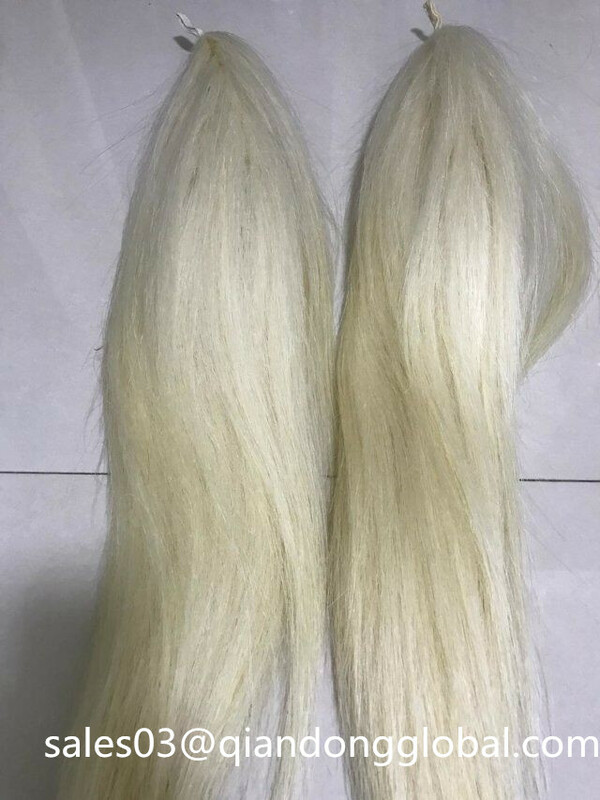 Looking for ideal 75cm Horse Tail Extensions Manufacturer & supplier ? We have a wide selection at great prices to help you get creative. All the 75cm False Horse Tails are quality guaranteed. 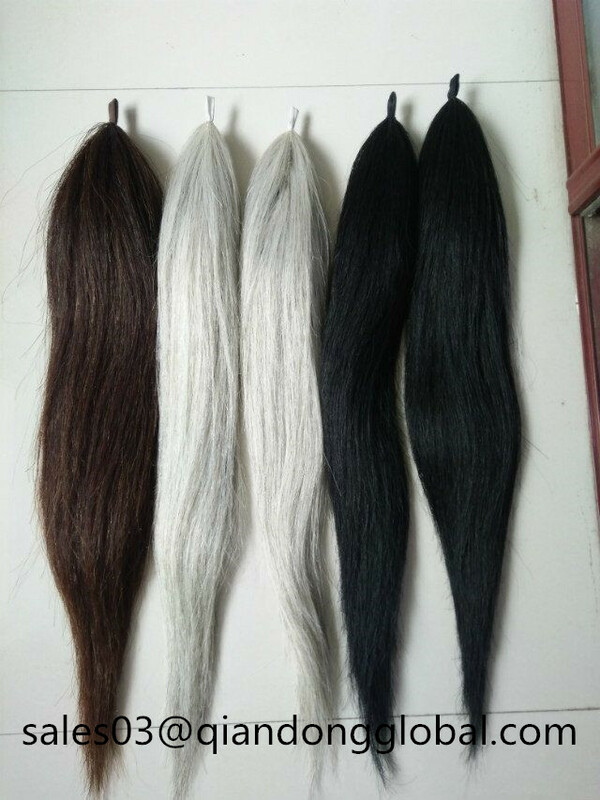 We are China Origin Factory of Handmade Horse Tail Hair Extensions. If you have any question, please feel free to contact us.